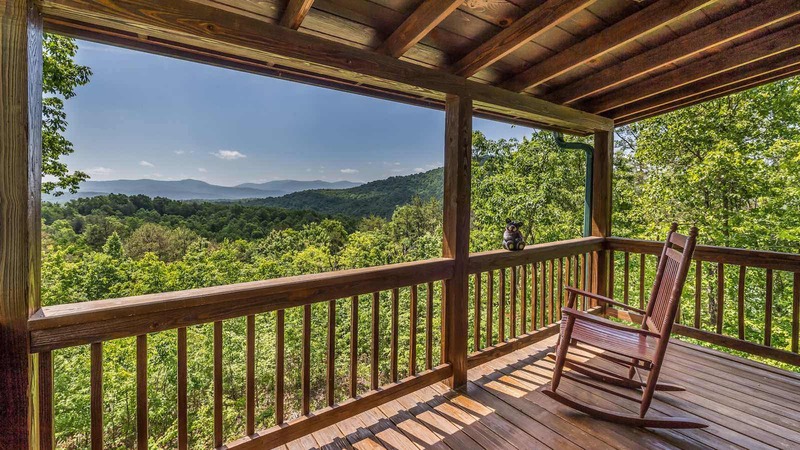 A View To Remember is going to be a vacation to remember! 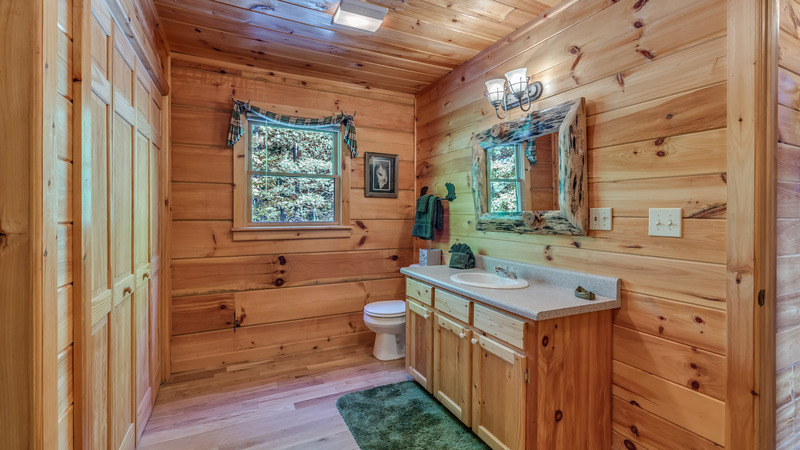 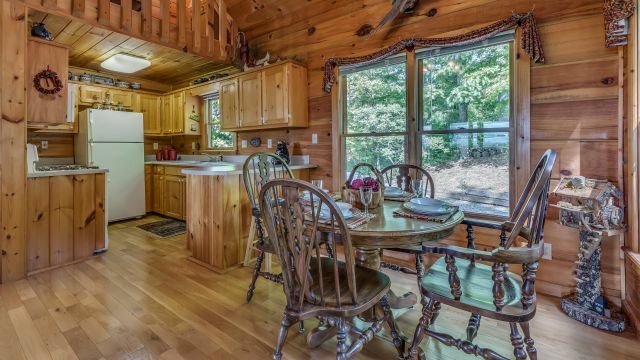 Perfect for couples or a small family, this adorable two bedroom, two bathroom cabin will be charming you as soon as arrive with its lovely long range mountain views. 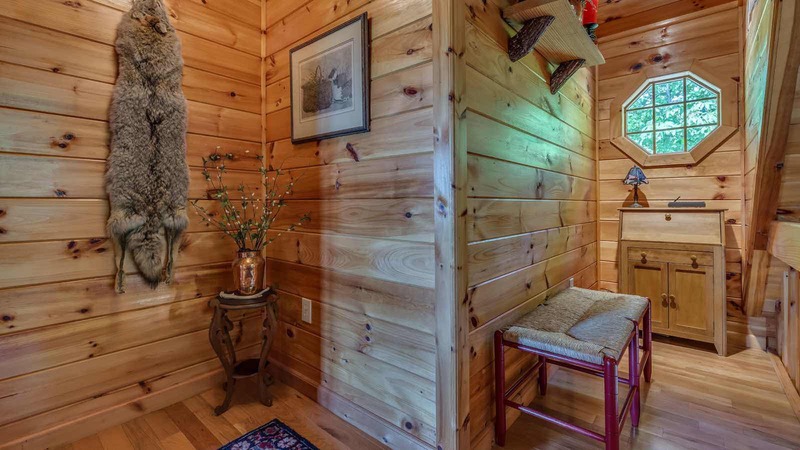 Enter the richly dark stained cabin with exterior dove-tail accents through the front door to the cozy living area and kitchen. 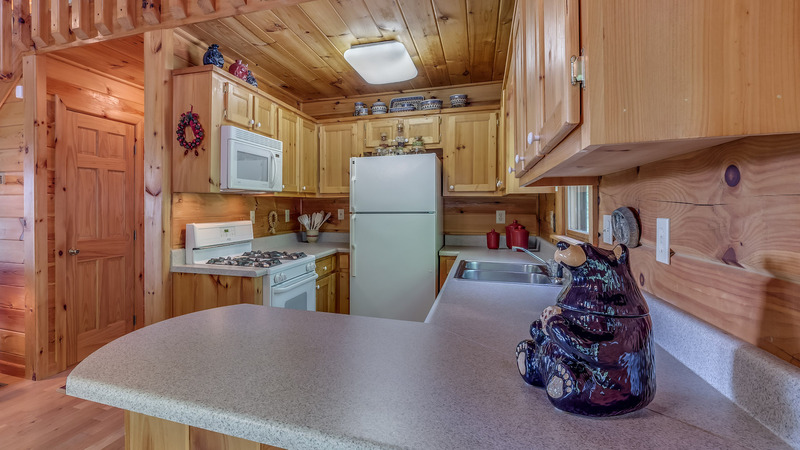 The kitchen offers a 4-person dining table and 2-stools at the mini-breakfast bar. 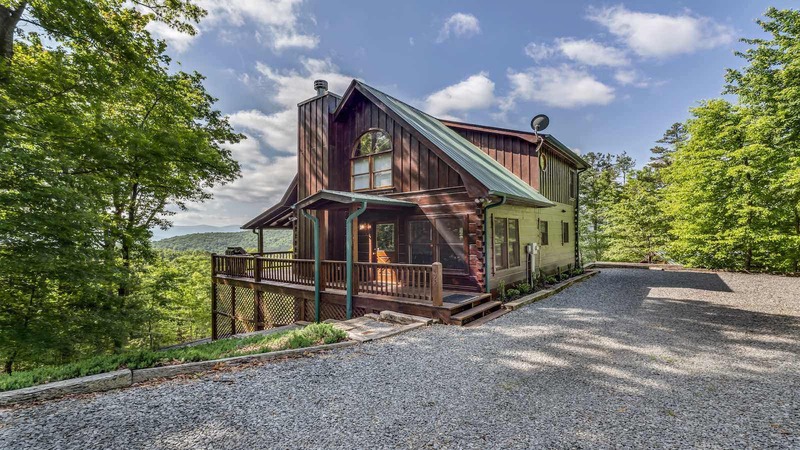 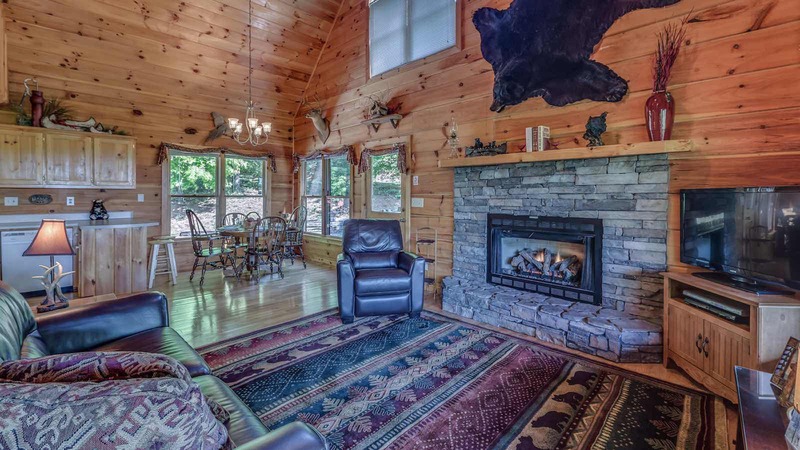 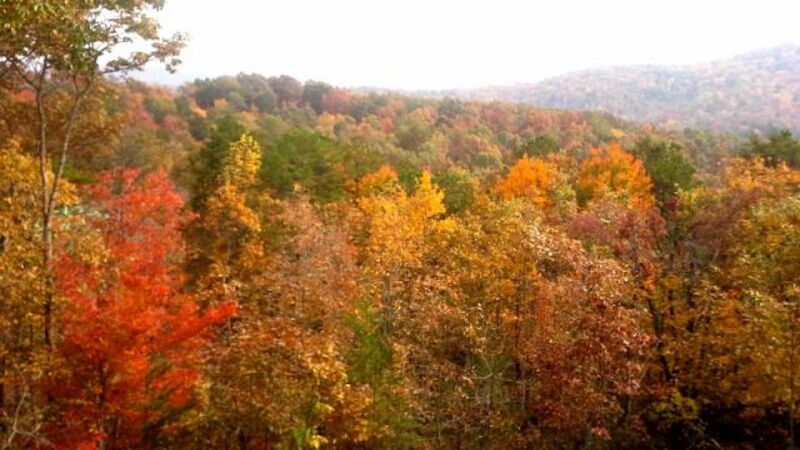 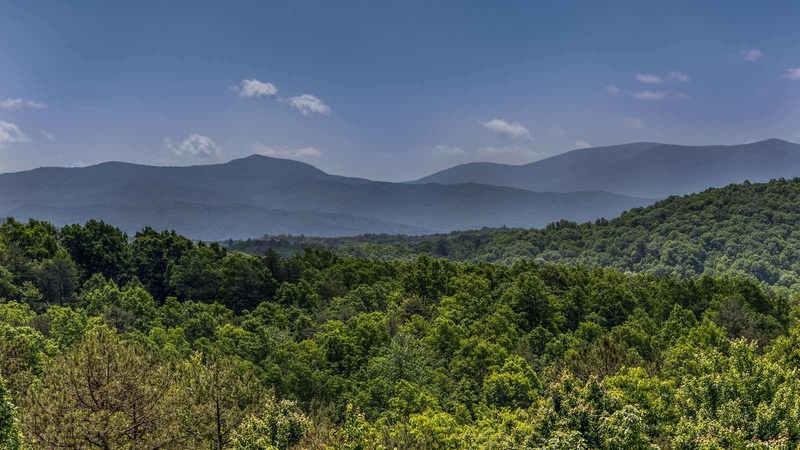 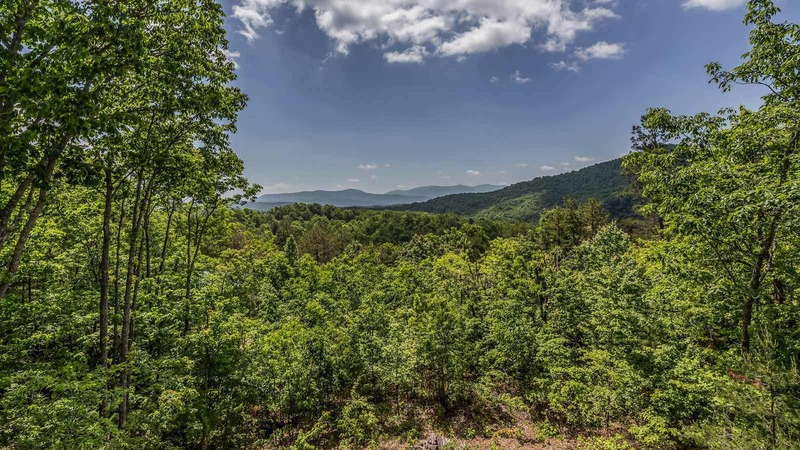 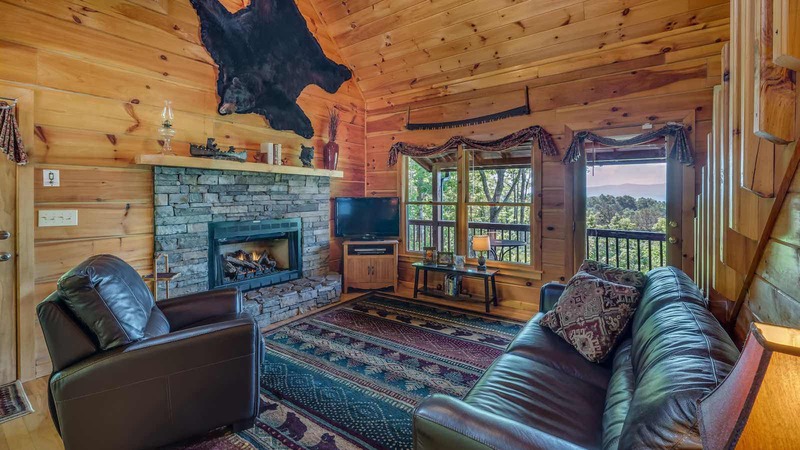 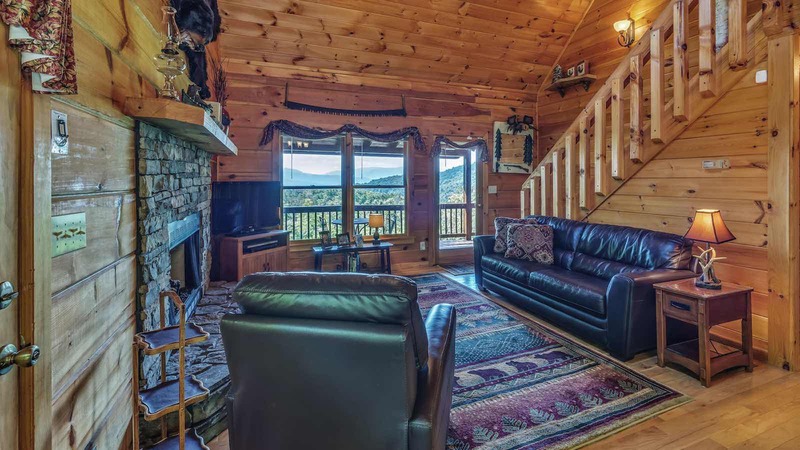 Here you can enjoy the long range mountain views, the gas log fireplace or the flat panel television with a DVD player. 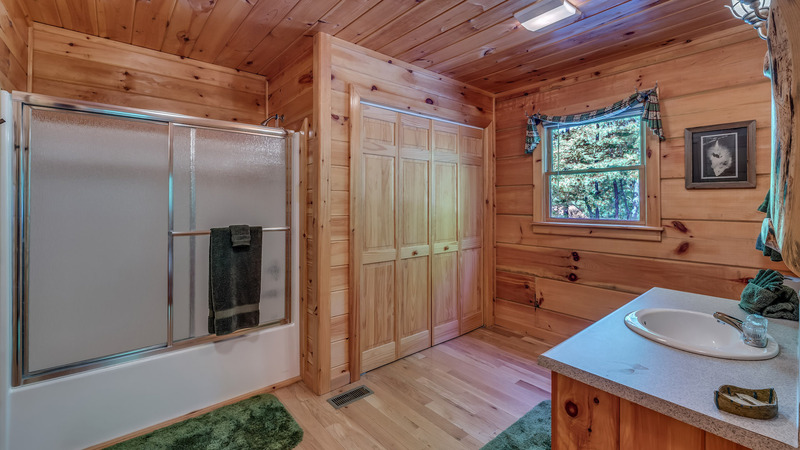 Just a few steps away is the main level bathroom with a standard shower, log framed mirror and main level bedroom. 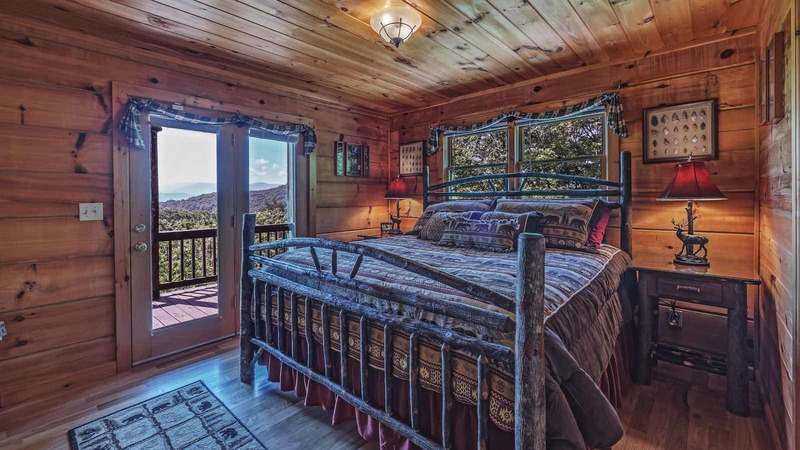 The main level bedroom features a log kind size bed and double doors leading to the main level deck, where you will find patio seating and the gas grill. 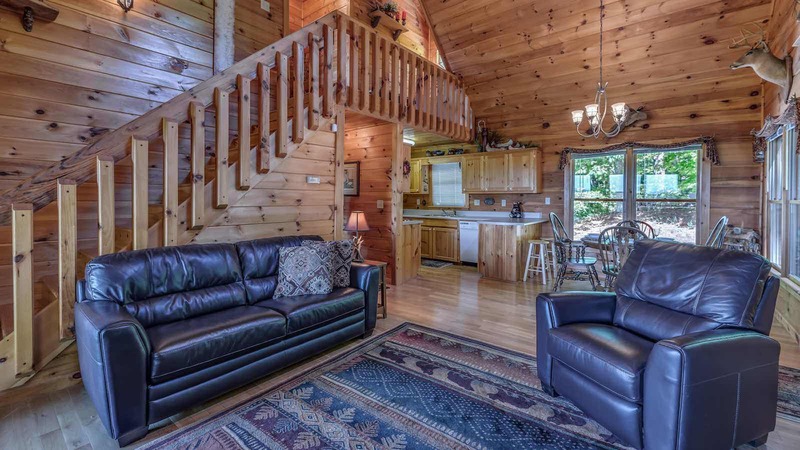 Step back inside and head up the staircase to the 2nd bedroom. 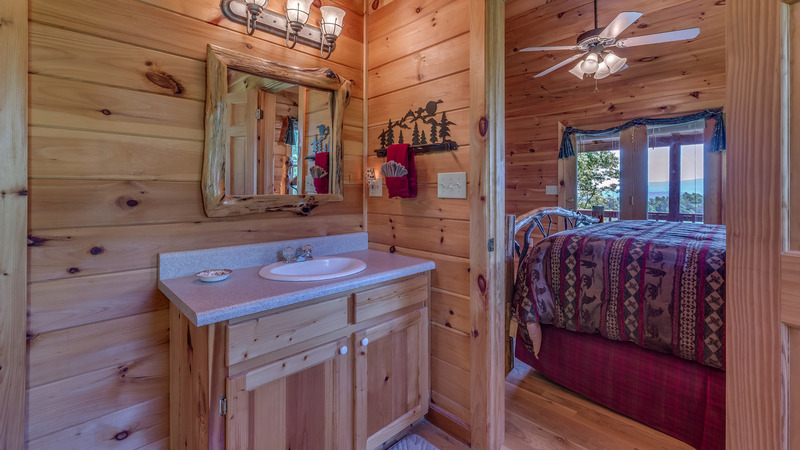 This is the master bedroom, with a log king size bed, flat panel television, standard shower, jetted garden tub and log framed mirror. 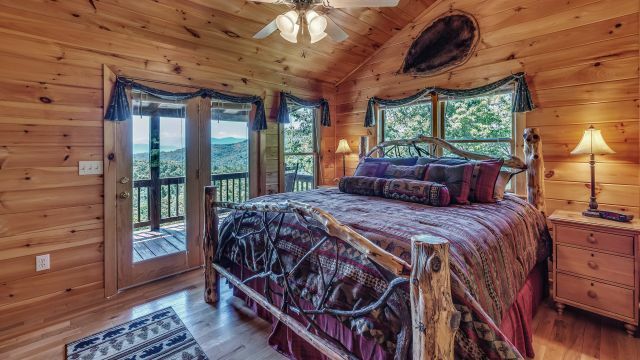 The master bedroom also has a private balcony and seating for two. 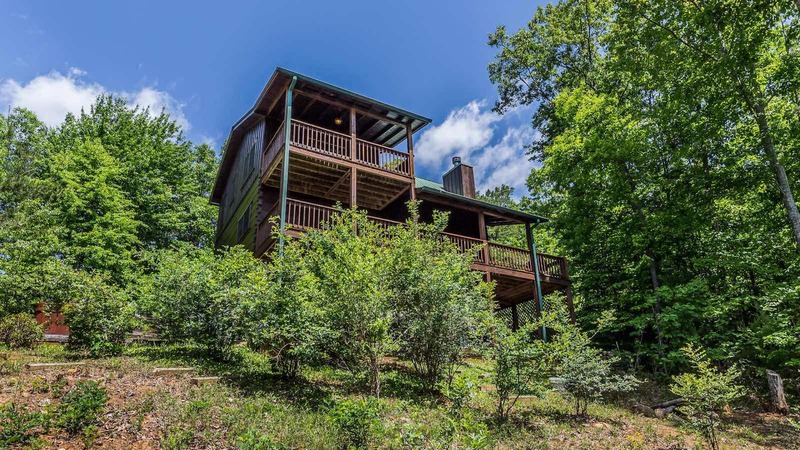 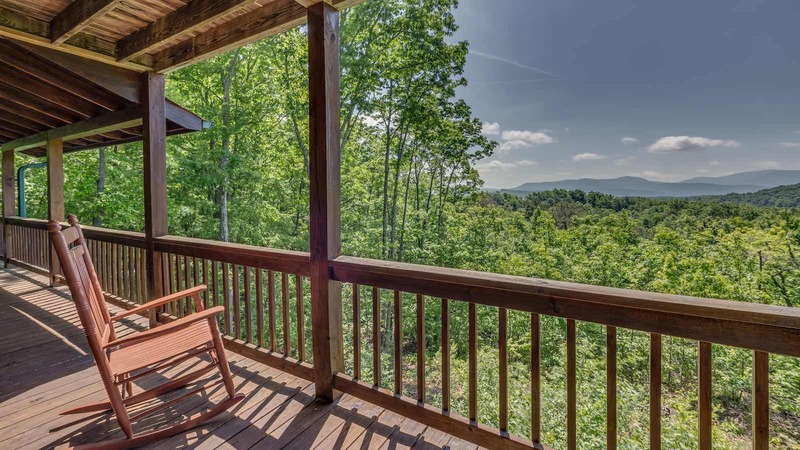 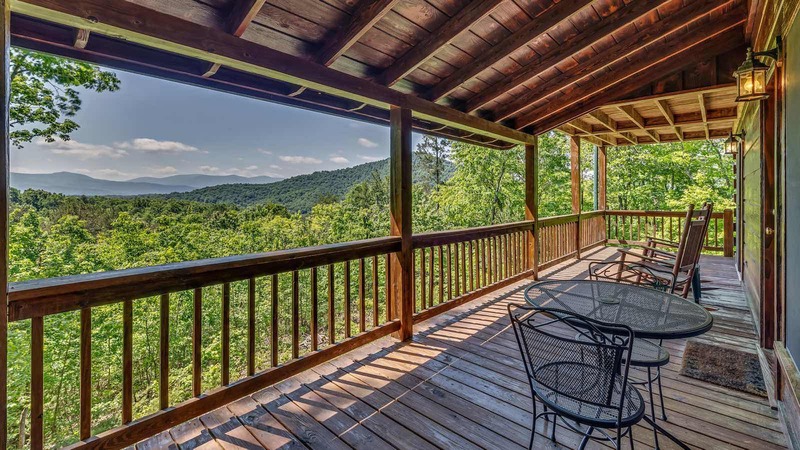 This balcony is ideal for romantic evenings and taking in the sprawling mountain vistas. 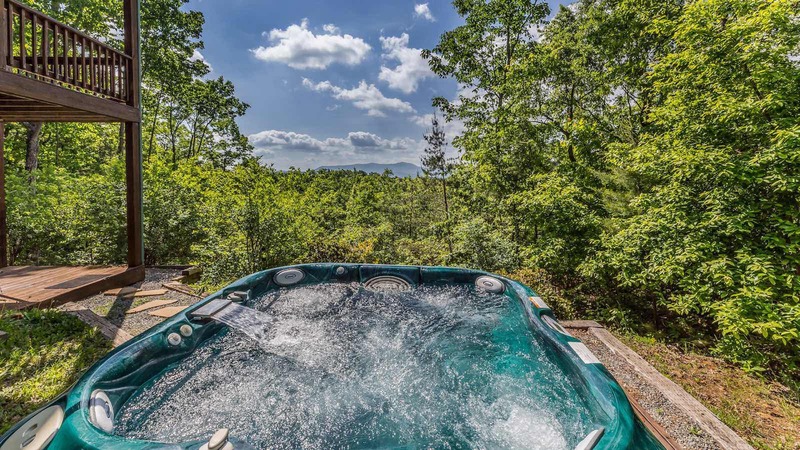 Ready for a dip in the hot tub or a friendly game of 2-on-2? 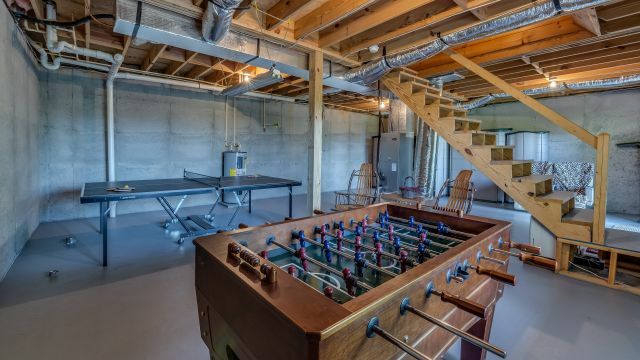 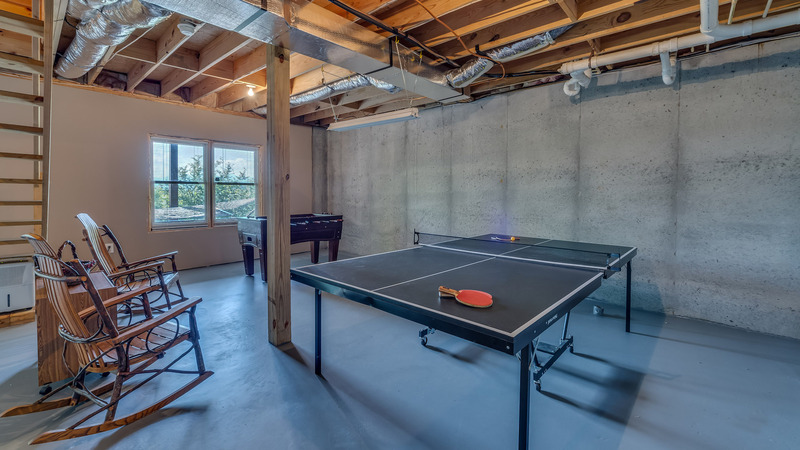 Journey to the unfinished basement level, where you'll be greeted by a full size ping pong table and full size foosball. 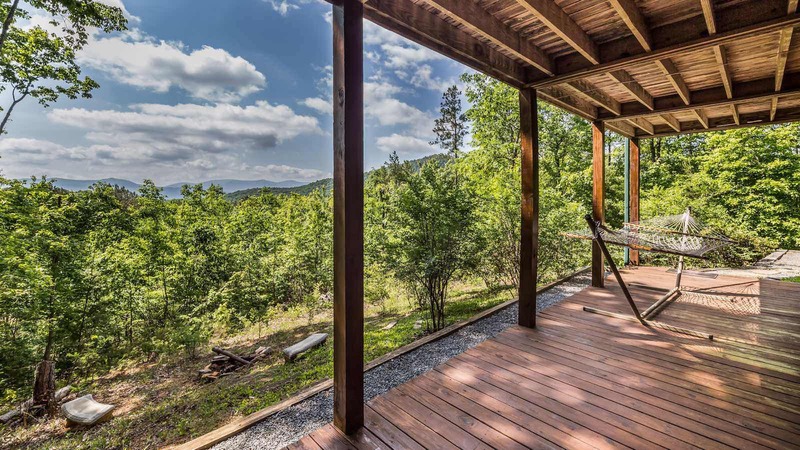 Just outside this level is the large hammock for catching up on a good book, afternoon napping or just relaxing as the birds sing and chirp thorough the day. 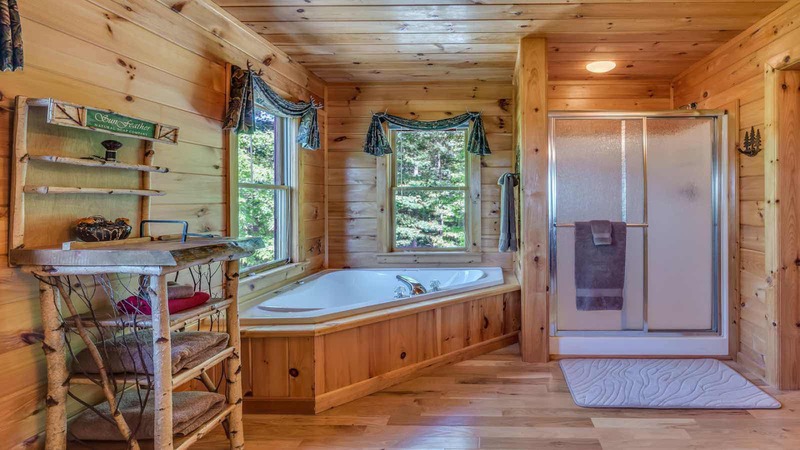 The hot tub is just a few steps away and is perfect for relaxing in all evening and viewing the stars. Imagine a moonlight soak with your better half with unobstructed views of the night sky, or soaking your cares away with some friends with chilled glasses of your favorite wine or champagne. 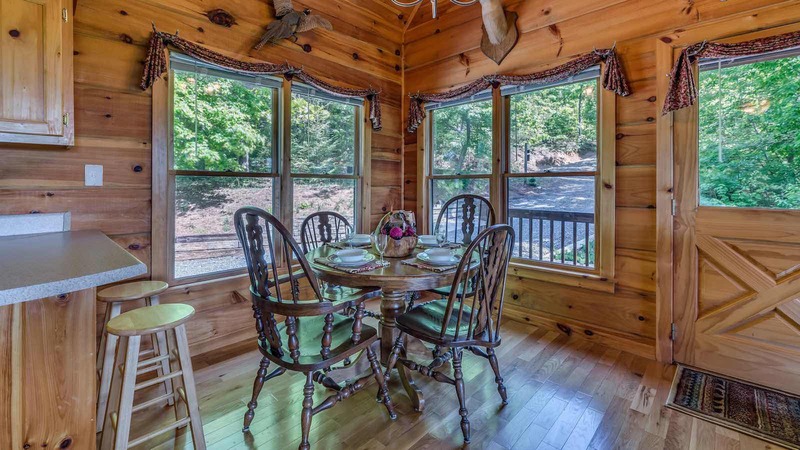 A View To Remember is a cabin that offers a vacation you won't ever forget!